William Eggleston is a photographer who rose to prominence in the 1970s for his photos of American life, many of which are now iconic. 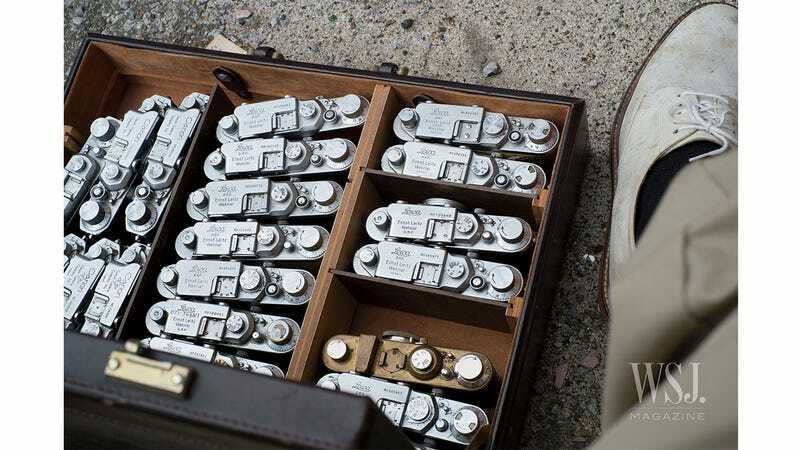 Those decades of pictures have come from dozens of different cameras, and Eggleston himself was kind enough to share with the Wall Street Journal a picture of some of his tools of the trade. Lead Photograph by William Eggleston for WSJ. Magazine.